Come on in and let the good times roll. 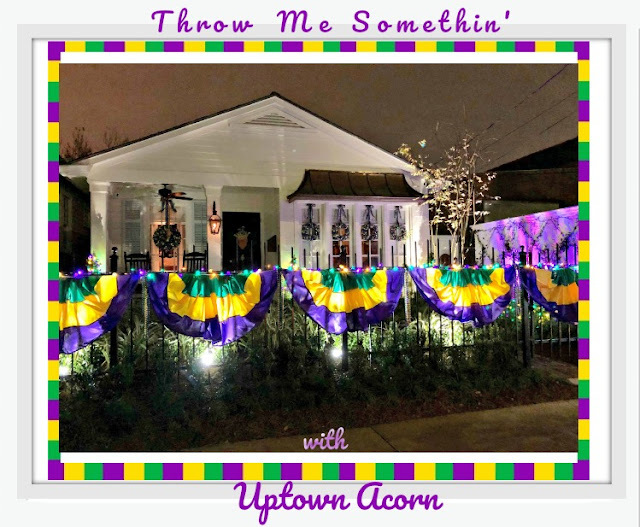 After all, it is the Mardi Gras season. 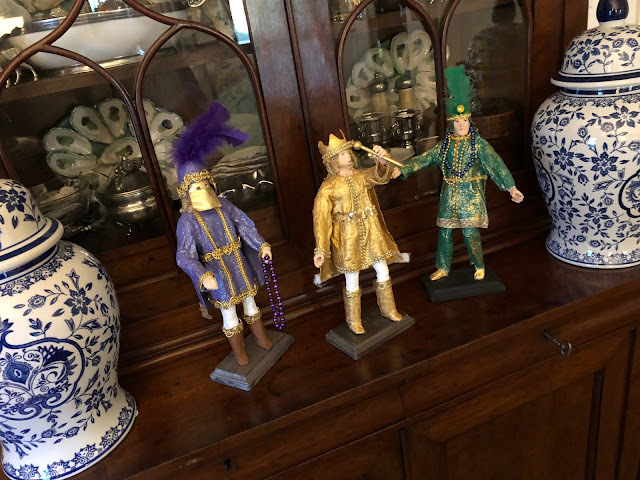 The living room holds some of my favorite papier-mache' collectibles purchased through Judy at the Rink. 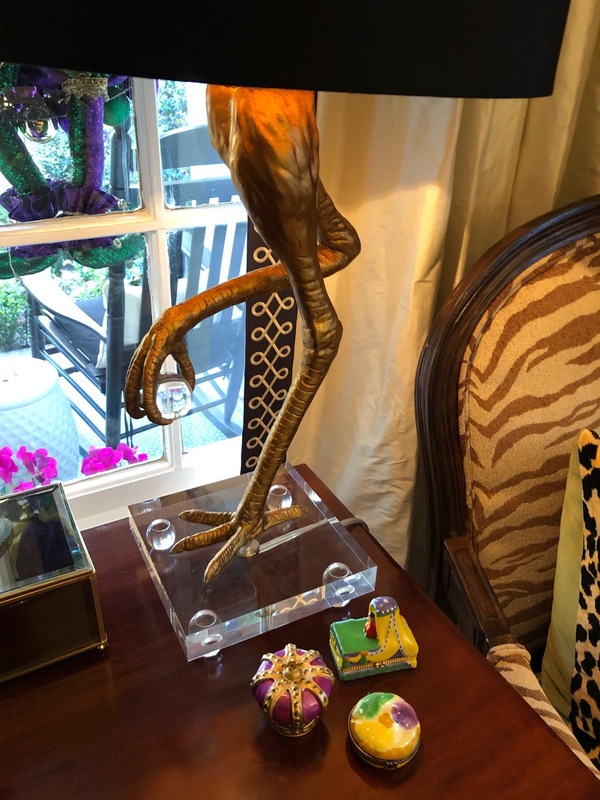 These sculptures are perfect for the Mardi Gras season. 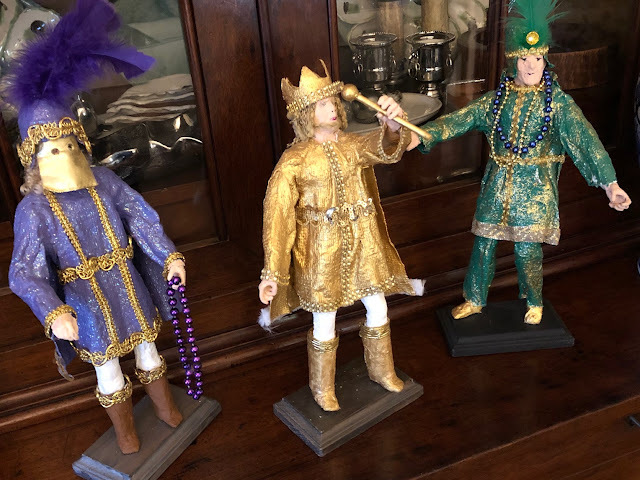 It would also not be Mardi Gras without a jester or two. 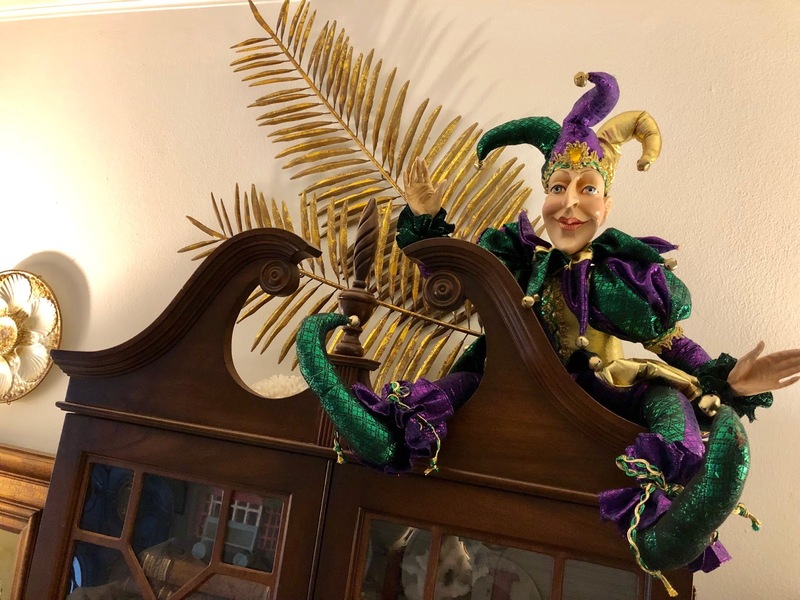 I placed the large jester atop the secretary this season. 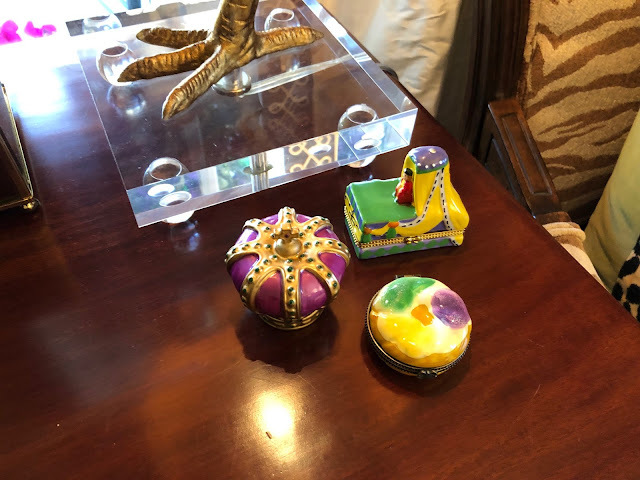 Small porcelain boxes of a float, king cake, and crown are fun accessories and have made great gifts. Love all of your Mardi Gras decorations!!! I’m slowly adding to my collection every year. 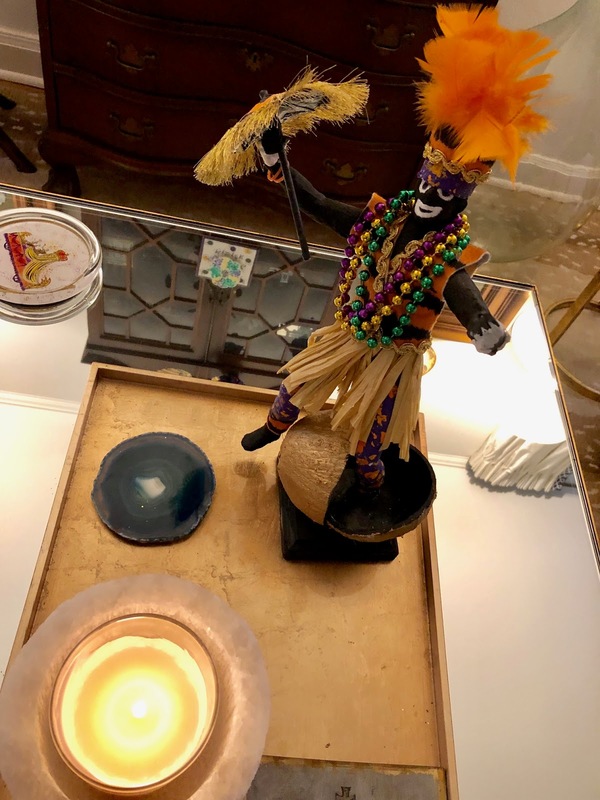 Love the Mardi Gras deco Ron. 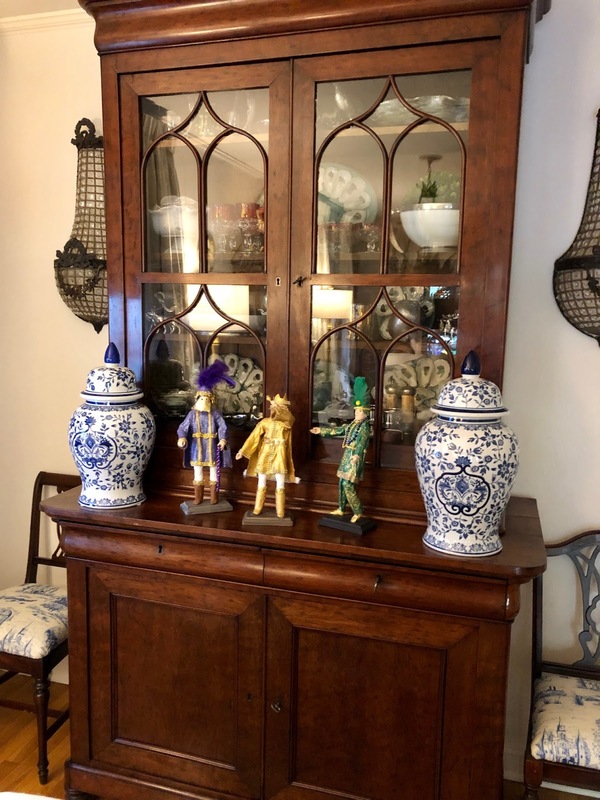 Your sculptured pieces are all unique and definitely something to keep for years to come. You are all set for a party!